***This sign does NOT come with anything to tie it to the chairs. You will need to find something to tie it yourself. We recommend ribbon, twine or fishing line. ***What is the approximate size? These signs measure approximately 14 inches wide by 14 inches tall. 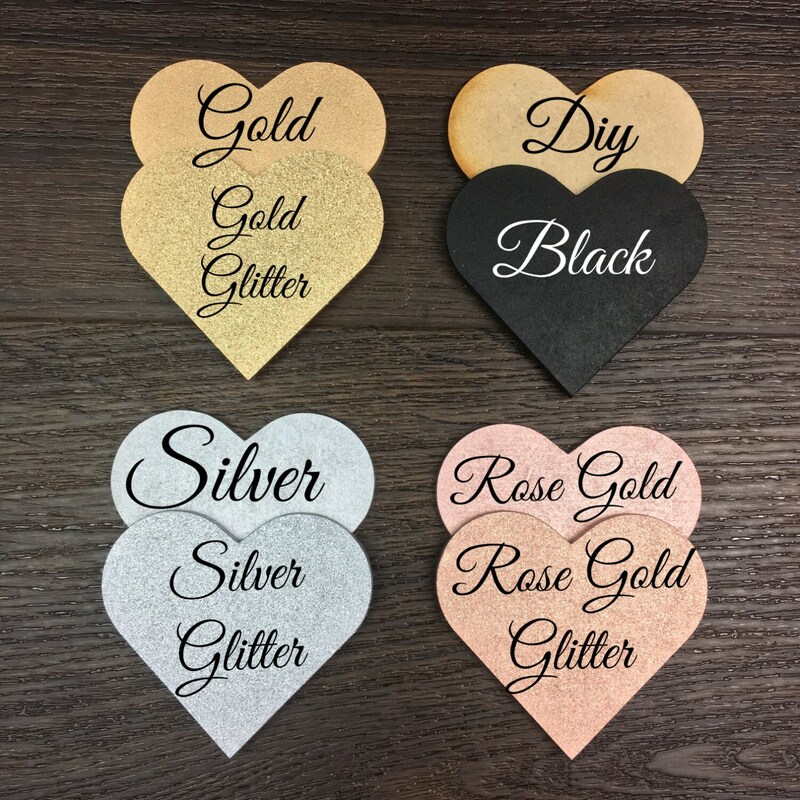 We laser cut these from 1/8 inch thick recycled fiber wood. 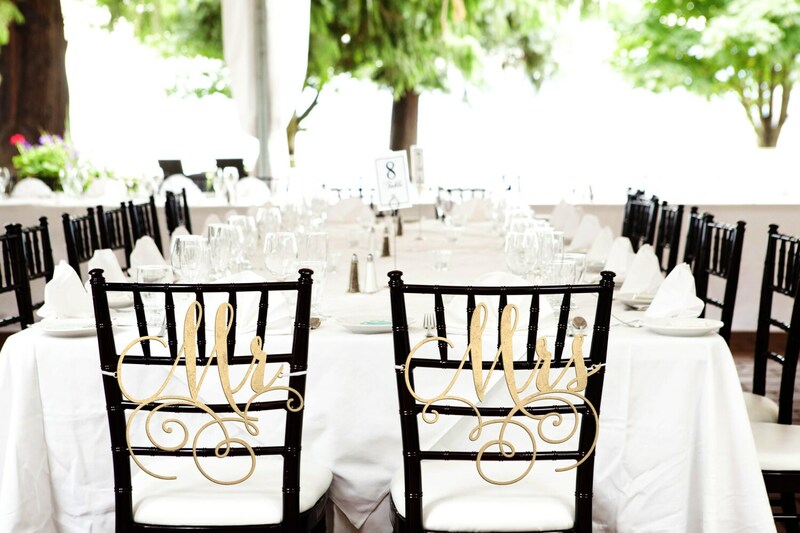 They are light, and easy to transport to your venue. 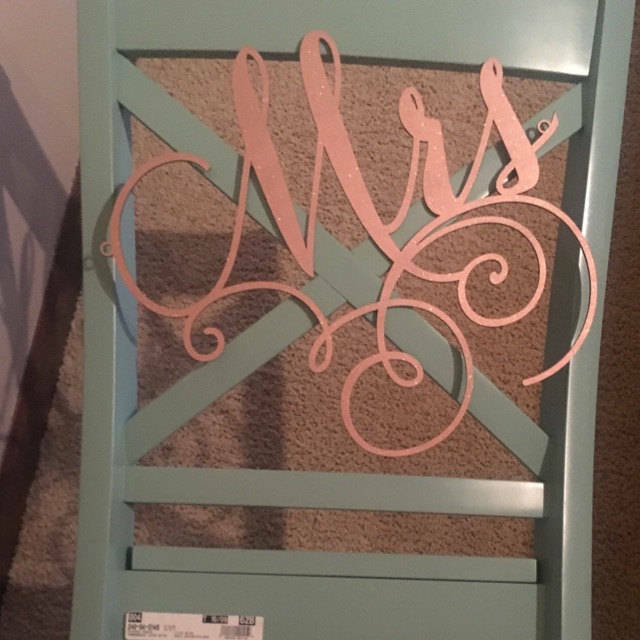 The chair signs are beautiful and will make a great addition to our wedding!